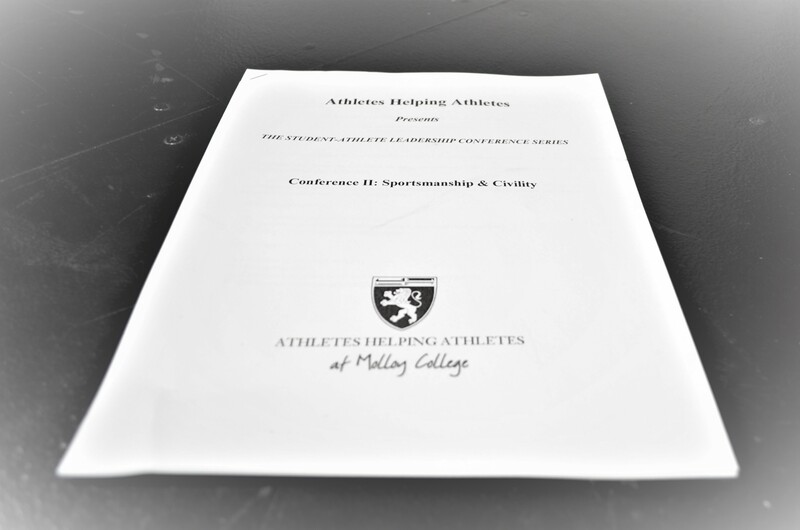 Welcome to Athletes Helping Athletes. 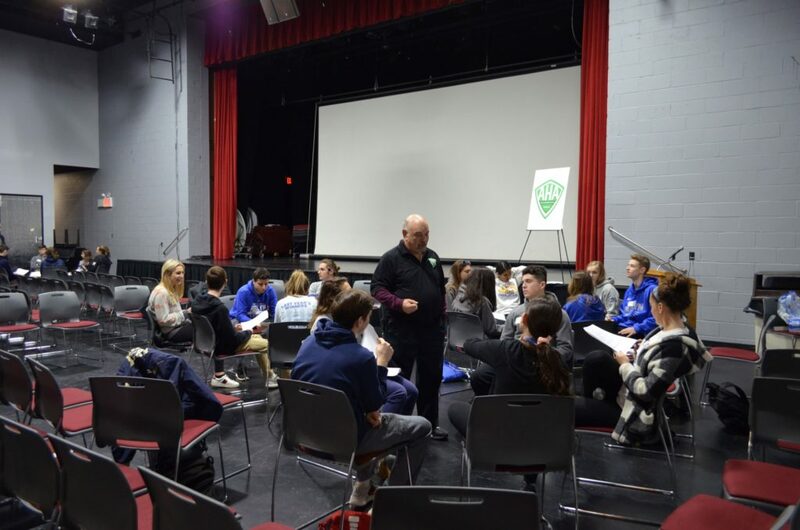 We train and prepare high school Student Athlete Leaders to address complex social issues within their communities. 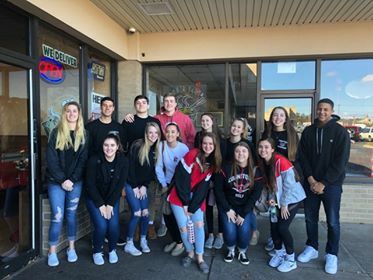 A big shout-out to the Student Athlete Leadership Team from Connetquot H.S., who recently spread their passion for service and leadership outside of their school district by visiting with special-needs students at BOCES. 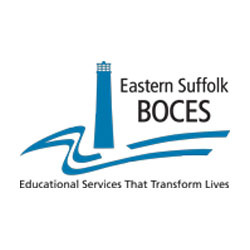 From BOCES, the high schoolers and program coordinators then visited with a number of young students at a Patchogue-Medford elementary school. 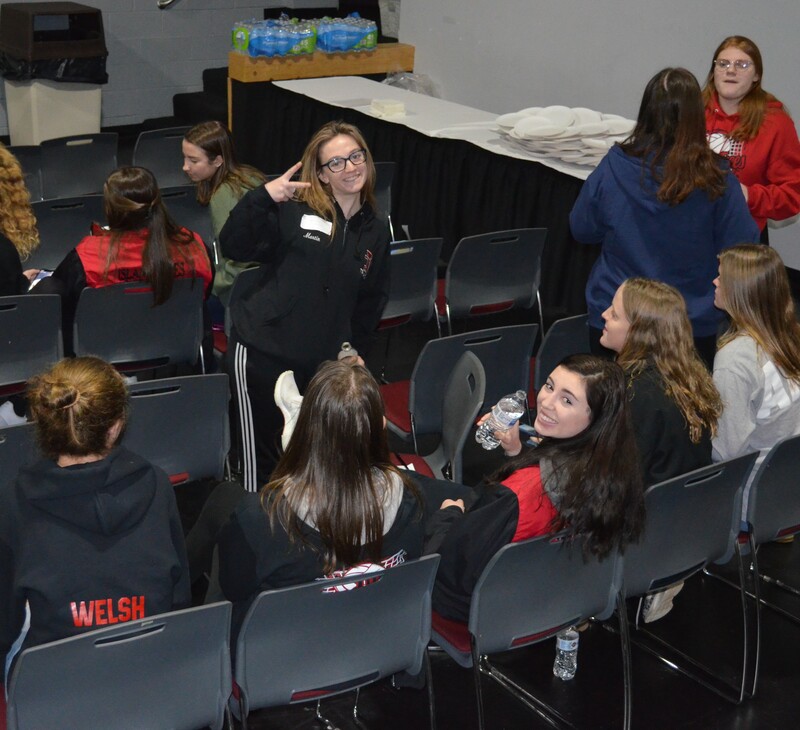 “What an awesome day!” is how the school’s SALT co-advisor, Alaina Bennett, summed up their travels and visits. We’re confident the younger students felt the same way! 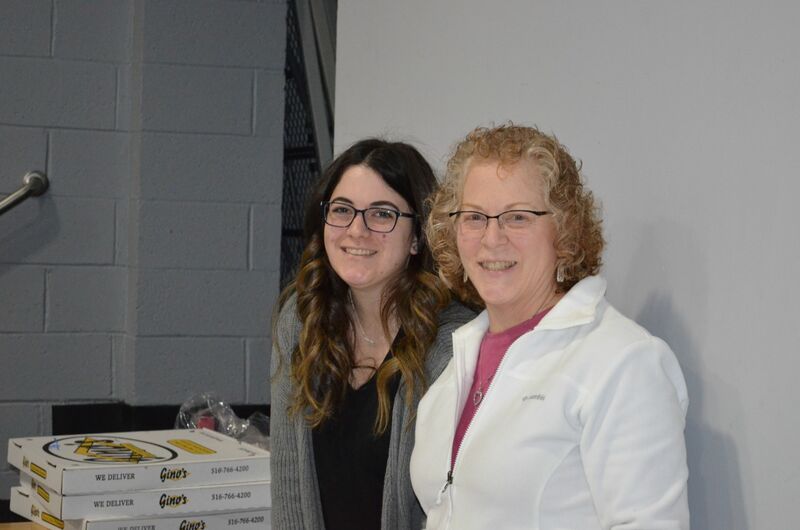 Thanks to all at Connetquot for making a difference in the lives of others!! 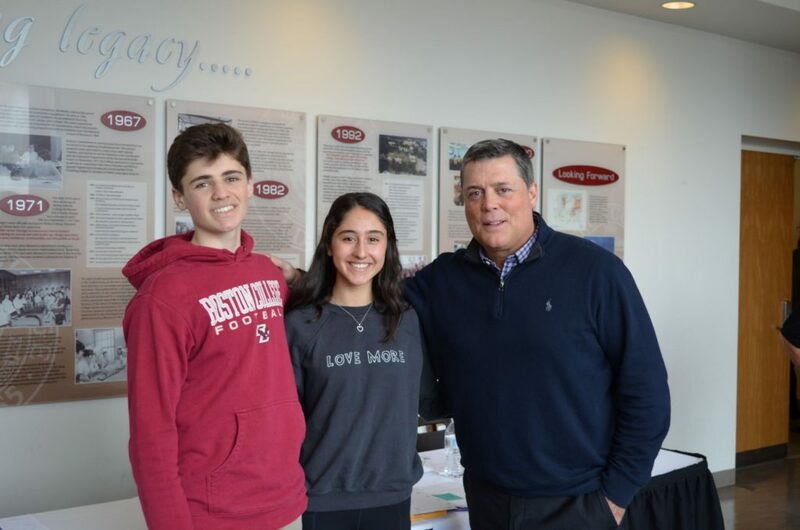 Rockville Centre, New York, Friday March 15, 2019 … Athletes Helping Athletes wrapped up its final five-day training conference of the 2018-19 school year with the return of one of the program’s founding professional athletes, NHL Hall of Famer and former New York Islanders star, Pat LaFontaine. 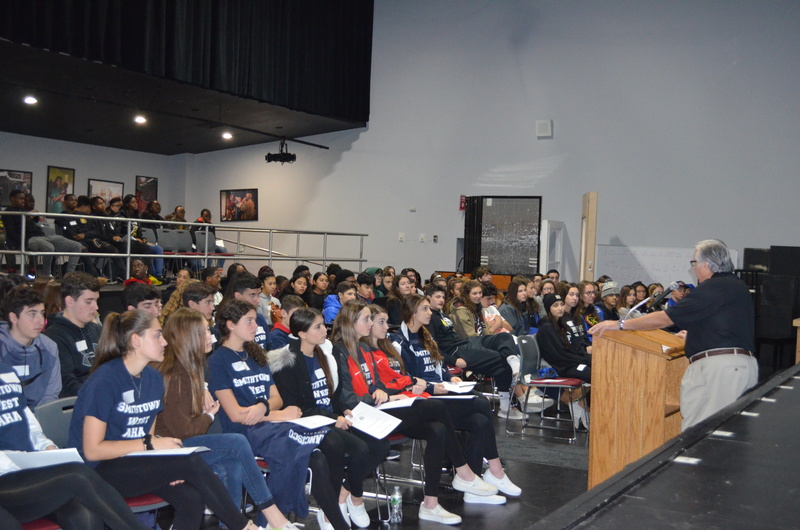 LaFontaine shared his personal experiences about sports and community service with our Student Athlete Leadership Team (SALT), and praised the group for continuing along a path paved by Long Island’s high school athletes more than 30 years ago. Among many inspiring points raised by LaFontaine, perhaps one of his most poignant remarks referred to our calling in life. 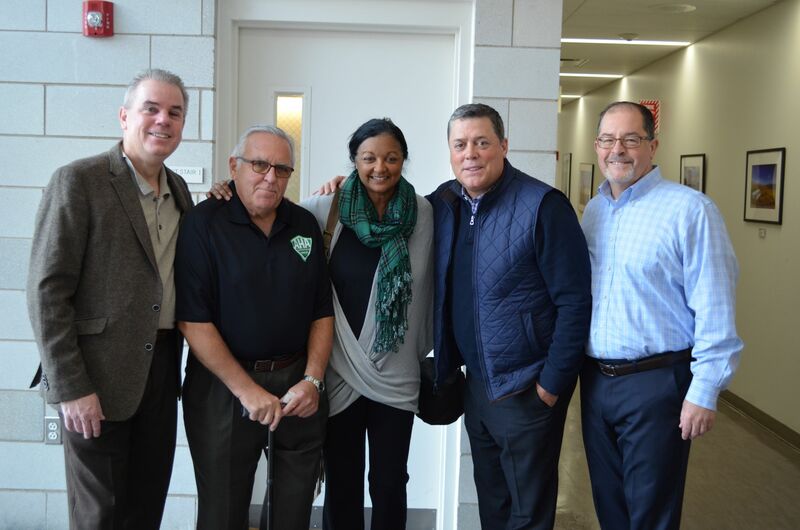 As LaFontaine stressed to the group assembled at Molloy College’s Public Square, a calling chooses you, you don’t choose a calling. To support this belief, LaFontaine cited his own calling to create the Companions in Courage Foundation, after months of playing video games with a youngster hospitalized with Leukemia. 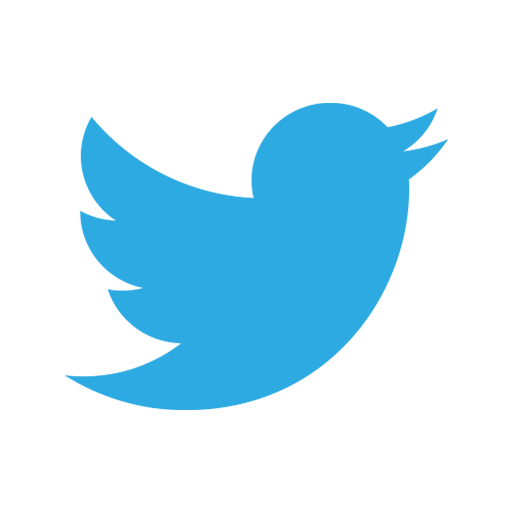 This led LaFontaine to launch his foundation with the mission of building interactive game rooms in children’s hospitals throughout North America. Today, his foundation touches the lives of more than 60,000 hospitalized children. 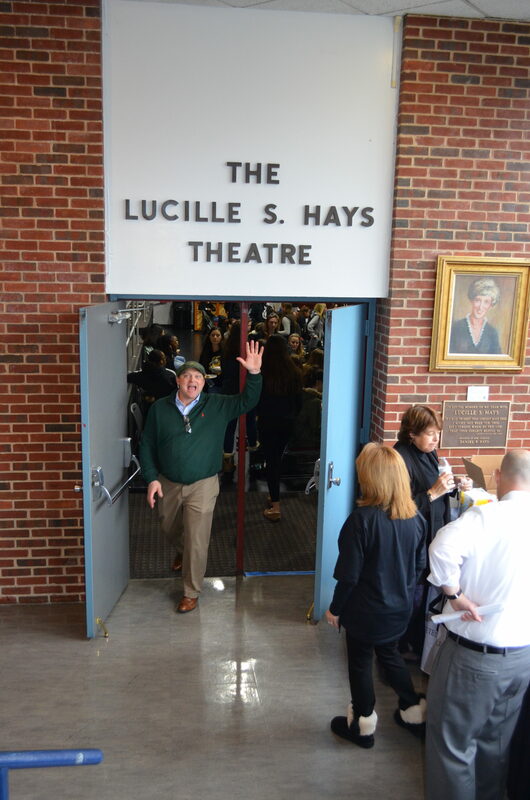 LaFontaine also praised the high school athletes for their efforts to personally interact with the younger students by visiting their classrooms. 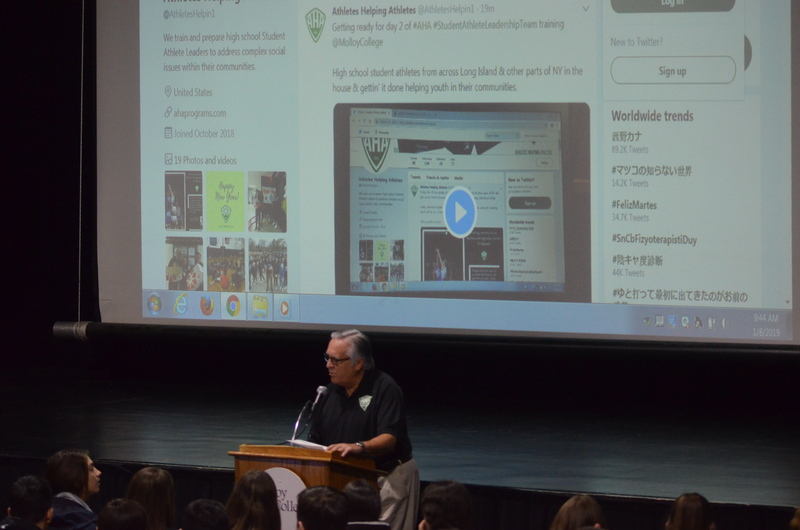 As LaFontaine discussed during his talk, social interaction has become a challenge for all of us in the digital age. 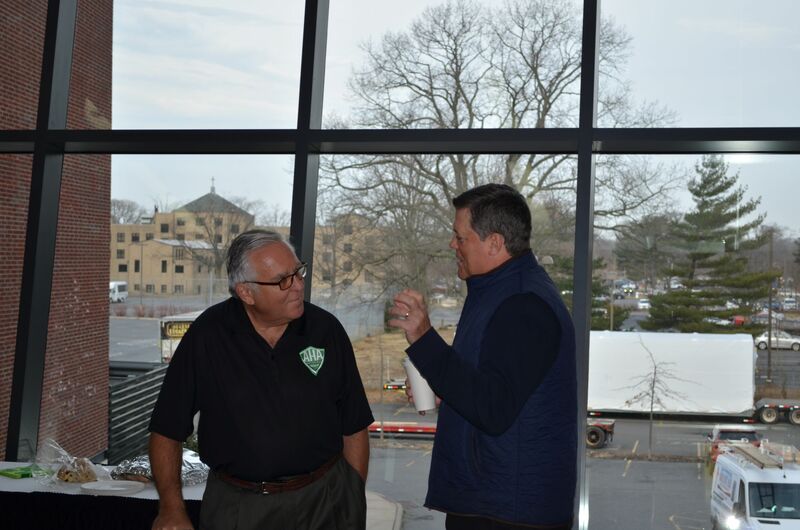 In short, LaFontaine believes the importance of playing youth sports has never been more important, because, in today’s world, playing sports provides youth with much-needed personal interaction. 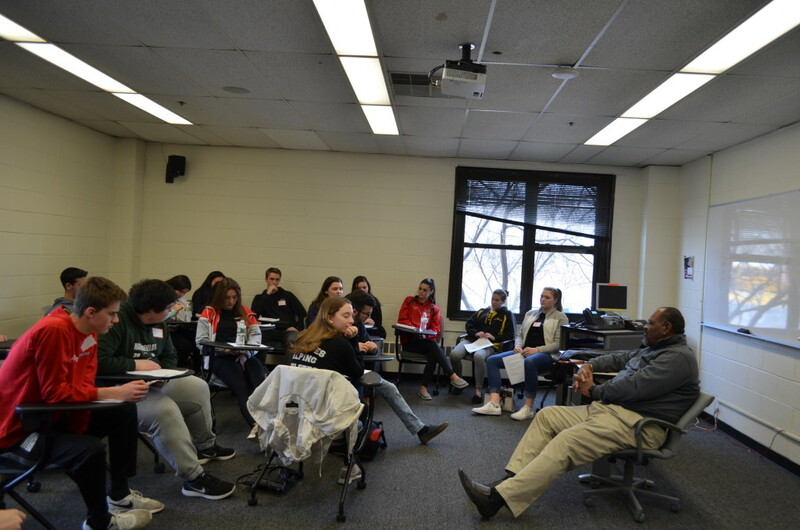 Following LaFontaine’s talk, the SALT participants broke off into small groups to attend workshops designed to help them craft messages about positive life choices. 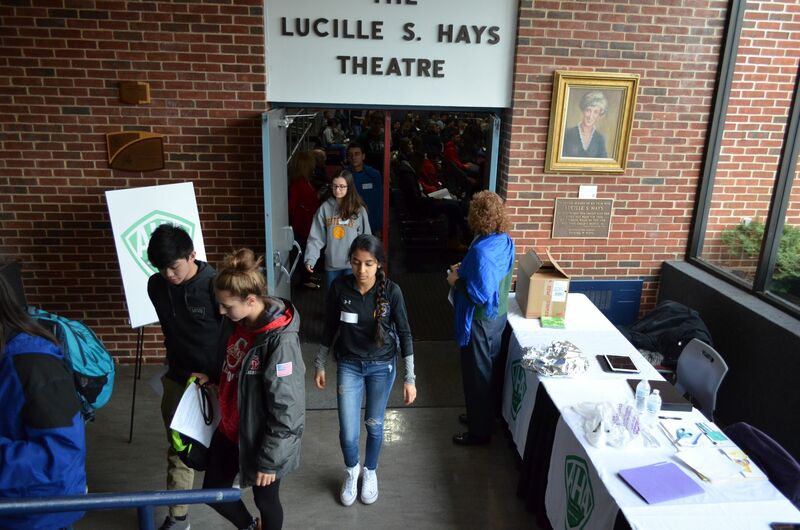 More than 700 high school students from across Long Island and other parts of New York completed the same task during the week. 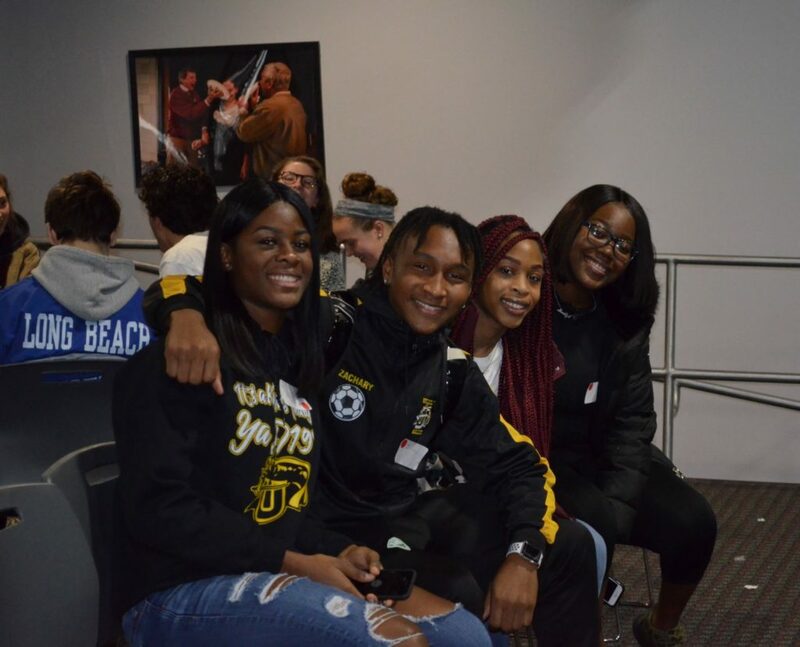 The SALT participants will now embark on a series of school visits with children in lower grades throughout their respective school districts, where they will serve as mentors, role models and leaders. Just as Pat LaFontaine, his teammates and past generations of high school athletes did more than three decades ago. 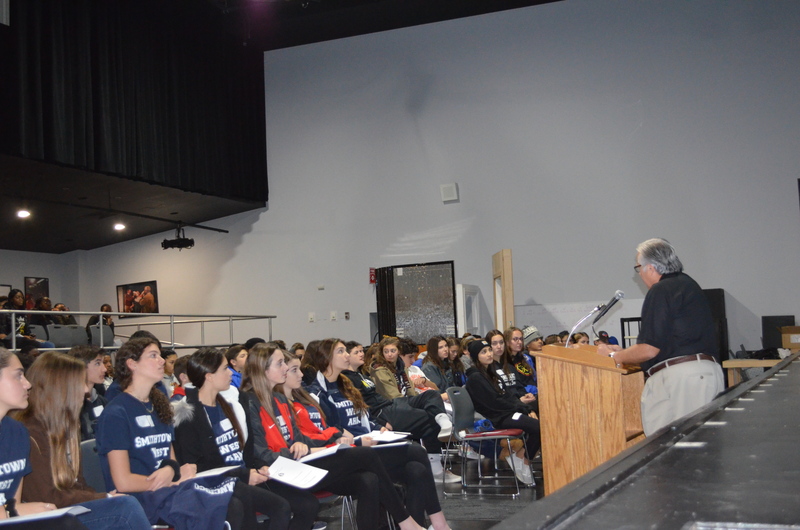 Check out our March Training Conference Photo Gallery! 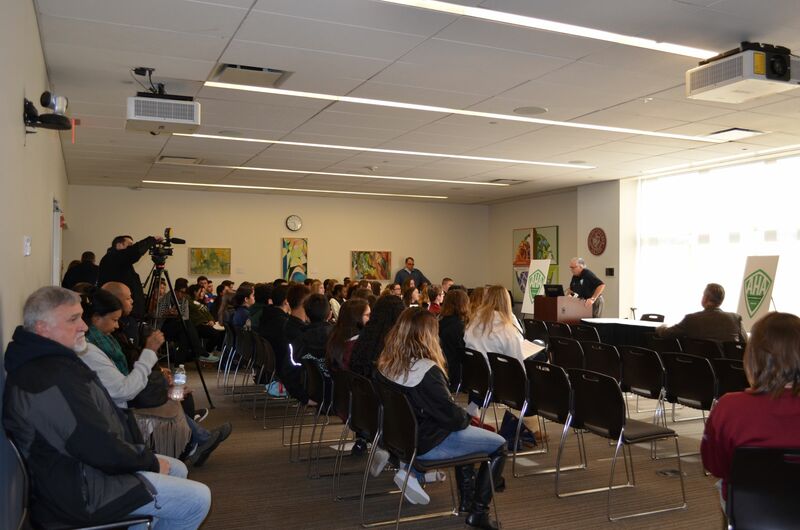 Hundreds of student athletes from more than 30 high schools across Long Island and other parts of New York gathered in groups on the campus of Molloy College in Rockville Centre between Monday, January 7 and Friday, January 11. 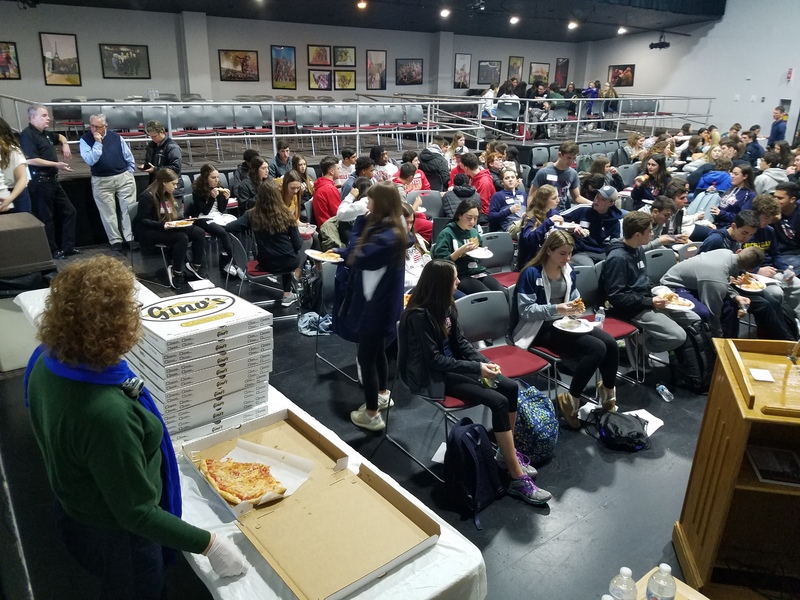 The purpose of the gathering was Athletes Helping Athletes’ second of three training conferences of the school-year, this time with a focus on sportsmanship and civility. 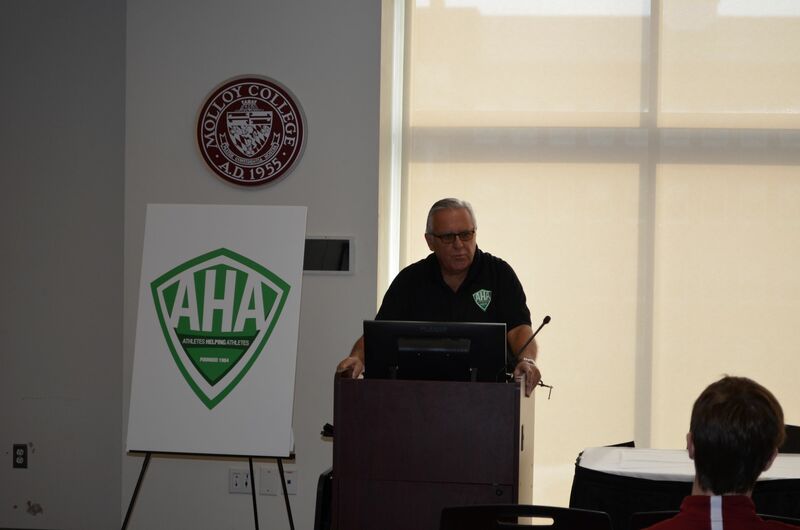 Each session included a different group of schools, with AHA Executive Director Warren Breining welcoming and opening each session with a wonderful tribute video to longtime AHA trainer and former NY Nets professional basketball player, Tim Bassett. Sadly, late last year, Tim lost a heroic battle against cancer, but his spirit and dedication to the Student Athlete Leadership Team will live on forever. 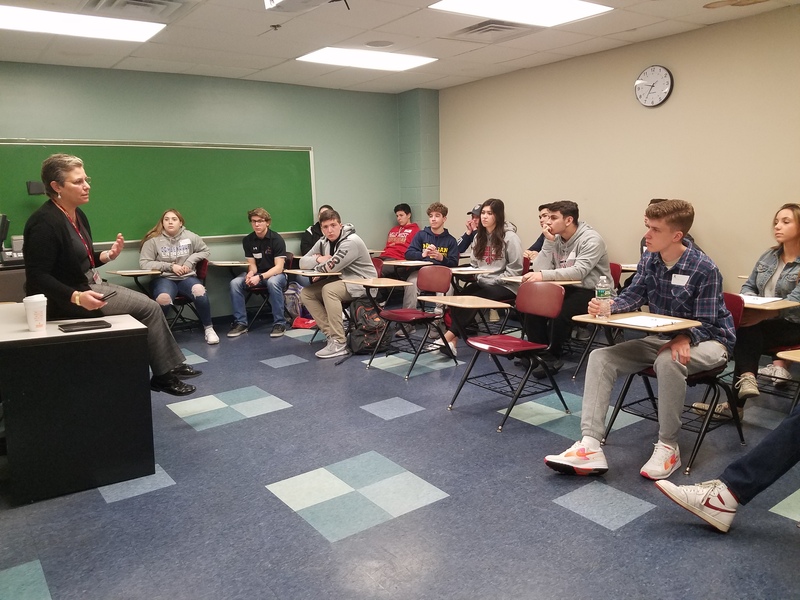 During each daily session, the students heard from the AHA training staff, who helped the high school athletes develop lesson plans for their future visits with middle-school students in their respective communities. 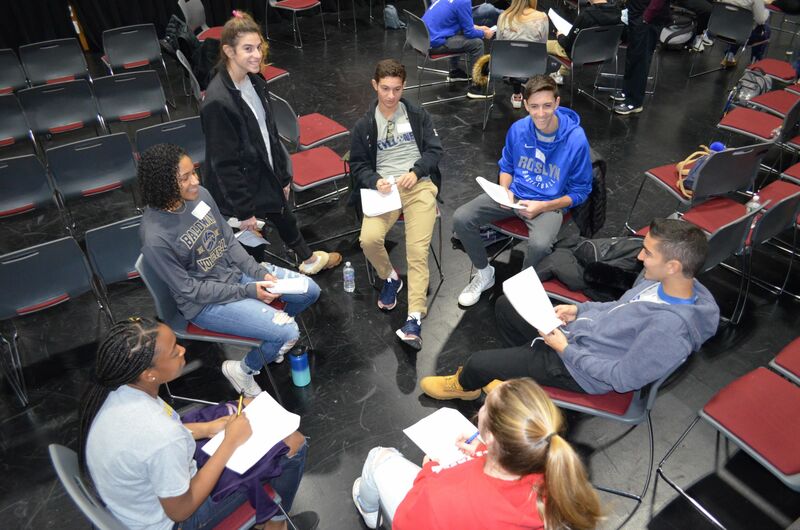 In short, the trainers helped the student leaders develop ways to use their own personal stories to help teach lessons of sportsmanship and civility. 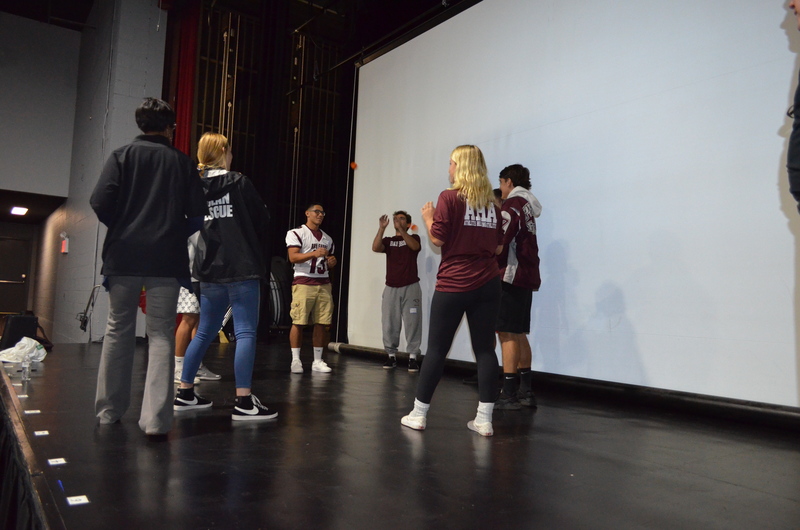 Some of the topics discussed included competing with character and integrity, respecting others, combating negative behavior, such as hazing and bullying and committing to the rules of the game. 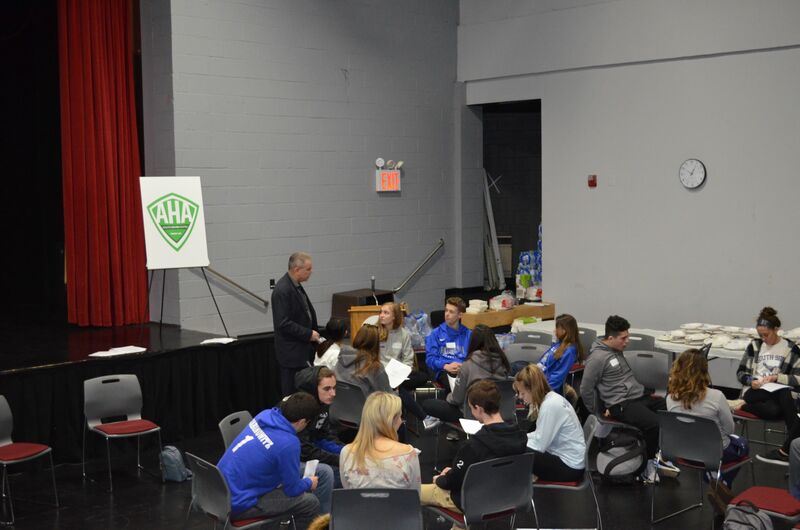 AHA would like to thank members of the Student Athlete Leadership Team for taking part in the training session, and we extend our heartfelt thanks and gratitude to the teachers and administrators from each school who have helped sustain the success of the AHA program for more than 30 years. Check out our training session photo gallery! 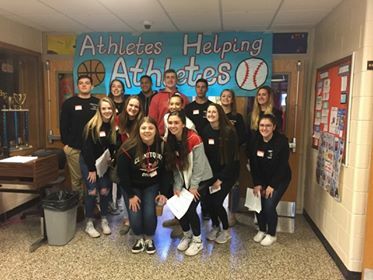 High school students participating in the Athletes Helping Athletes Student Athlete Leadership Team know that it’s never too early to share life-lessons with students in younger grades. 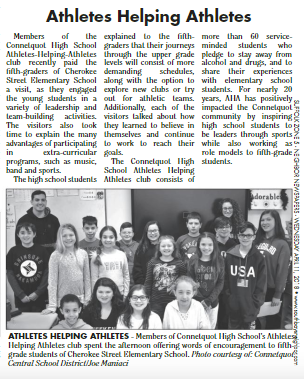 In December, Student Athlete Leaders from Long Island’s Connetquot High School spent some time with fifth graders from nearby Edith Slocum Elementary School. 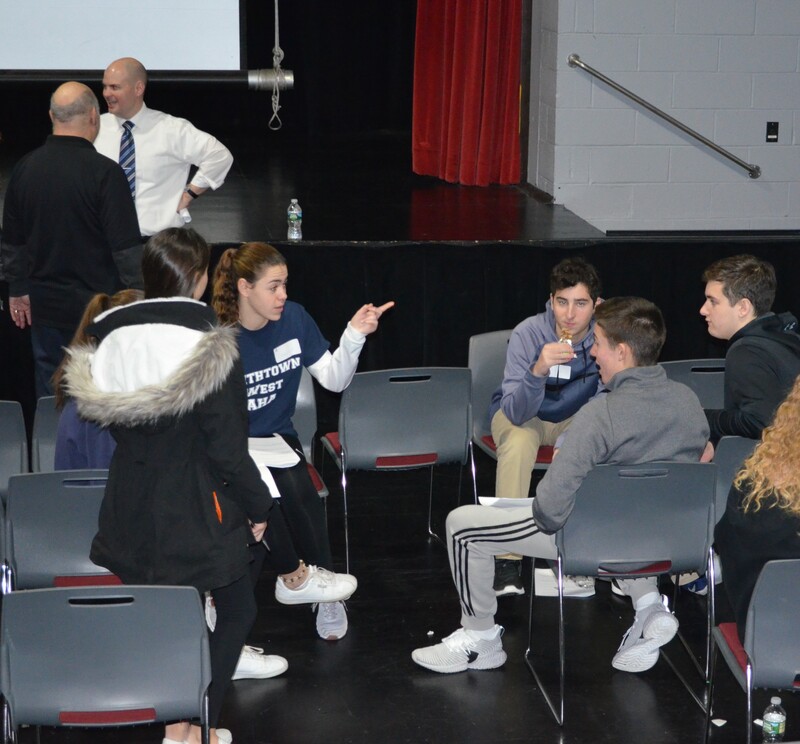 During their visit, the high school student leaders shared some of their own stories about navigating their way through the school system’s upper grades and explained the benefits of getting involved with extracurricular activities. 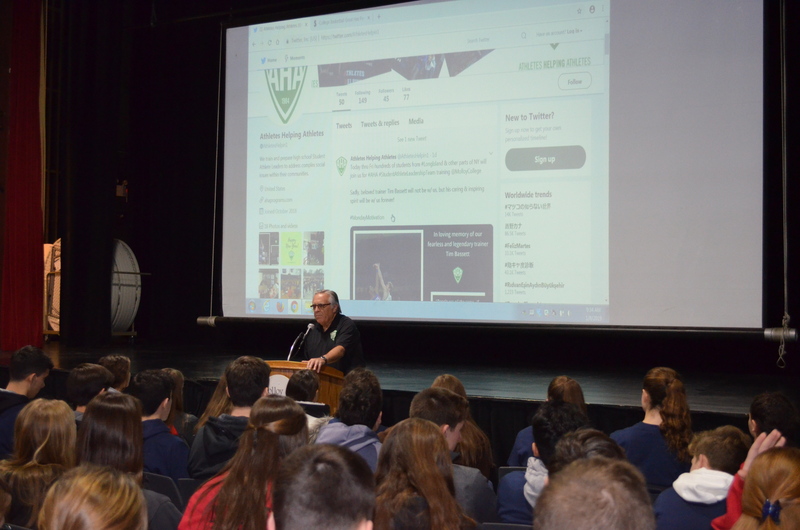 Throughout the school-year, hundreds of AHA Student Athlete Leadership Team members from 35 high schools in New York’s Nassau, Suffolk, Orange and Ulster counties will be making several visits to lower grades in their school districts to promote positive life-skills through proper decision making and healthy, inclusive activities. 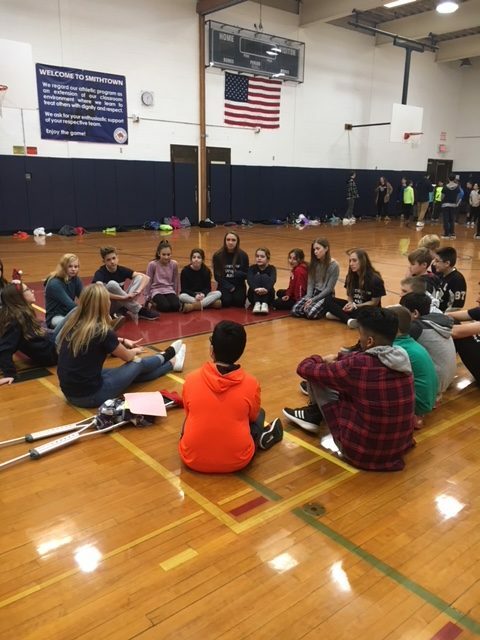 From bowling balls to dodgeballs, members of Athlete’s Helping Athletes’ Smithtown High School West Student Athlete Leadership Team had a “ball” helping others during the first half of the school-year. The spirited and creative youth leaders hosted a dodge ball game in which cans of food served in place of an entry fee. 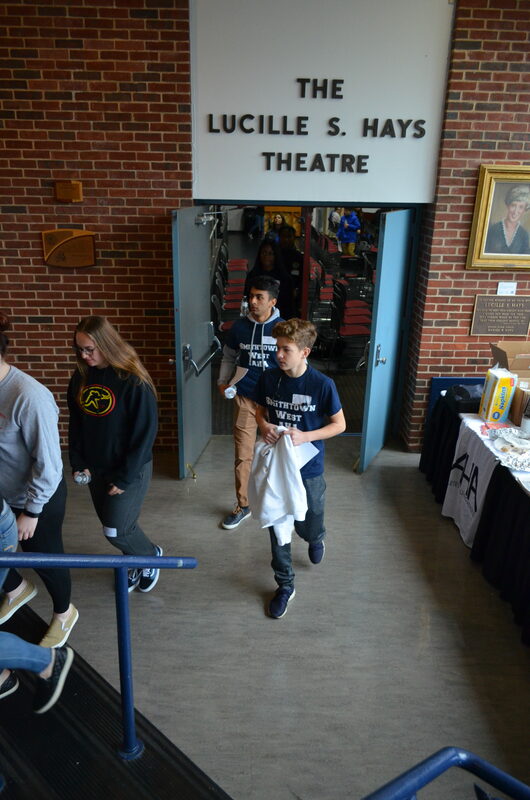 The effort helped members of the community dodge hunger, as the cans of food were donated to the nearby Smithtown Food Bank. 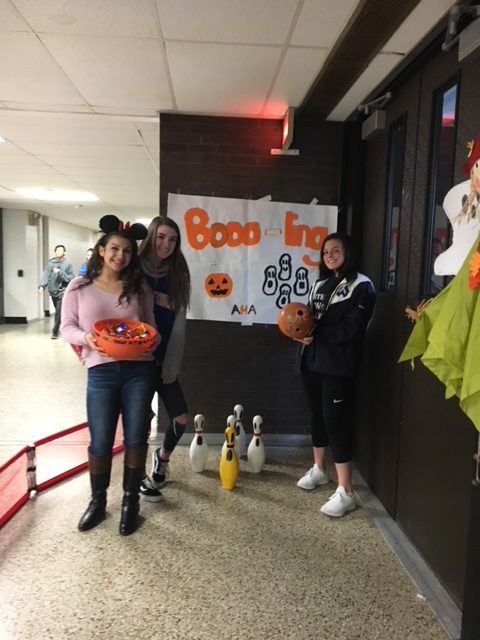 The AHA Leadership Team also hosted a safe Halloween event by putting their own twist on bowling and called it Boo…ling, and they spent time visiting with younger students at Great Hollow Middle School. 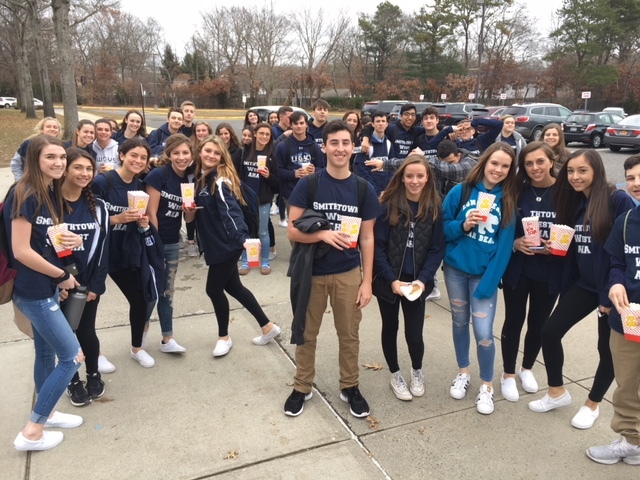 We thank and commend the Smithtown West Student Athlete Leadership Team for having such a positive impact on their community. 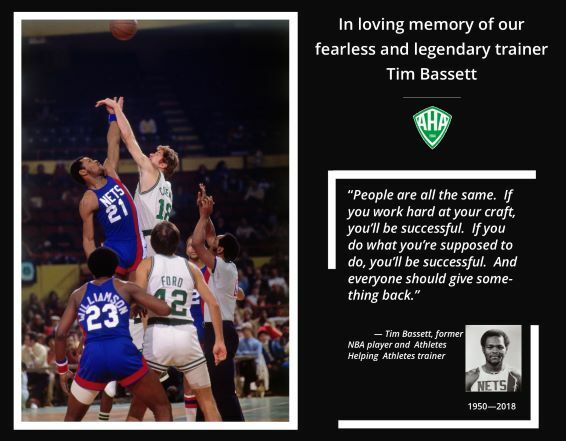 Athletes Helping Athletes is sad to announce the passing of Tim Bassett, an esteemed member of our leadership training team for more than 30 years. 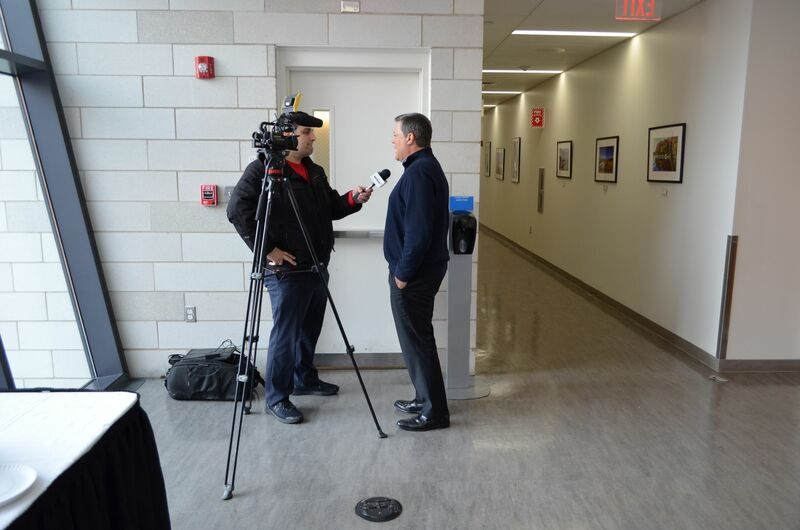 For those of us who were fortunate to work with Tim, we will miss his enthusiasm and friendship. 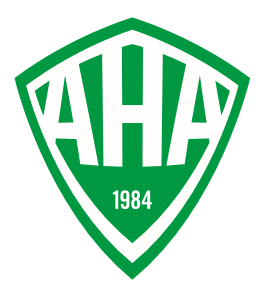 For the AHA student-athletes, the void will be immeasurable. 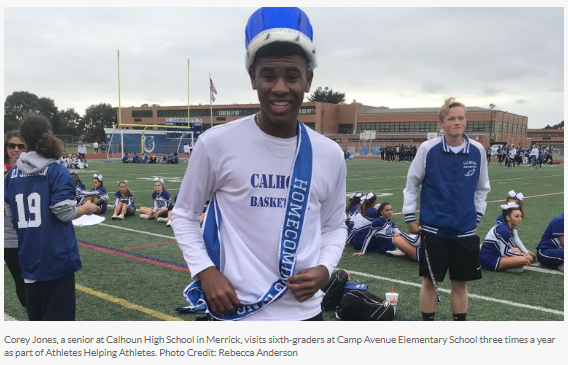 Tim’s unique ability to connect with and inspire high school athletes has become legendary. 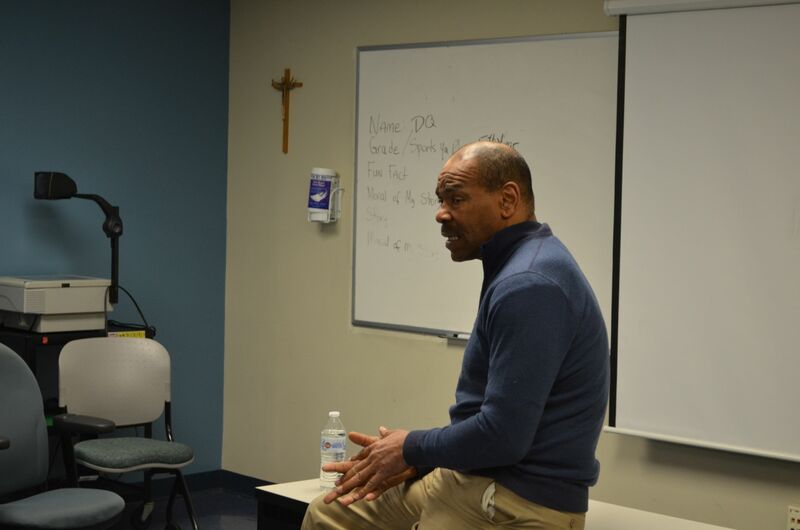 For three decades he used his unique life story as a top collegiate and professional basketball player to help thousands of student-athletes examine their own athletic experiences to better understand the true value of sport, and the life skills and life lessons they gained from participating in athletics. Our thoughts and prayers are with Tim’s family, friends and fans around the world. We are all better people for having known Tim Bassett. 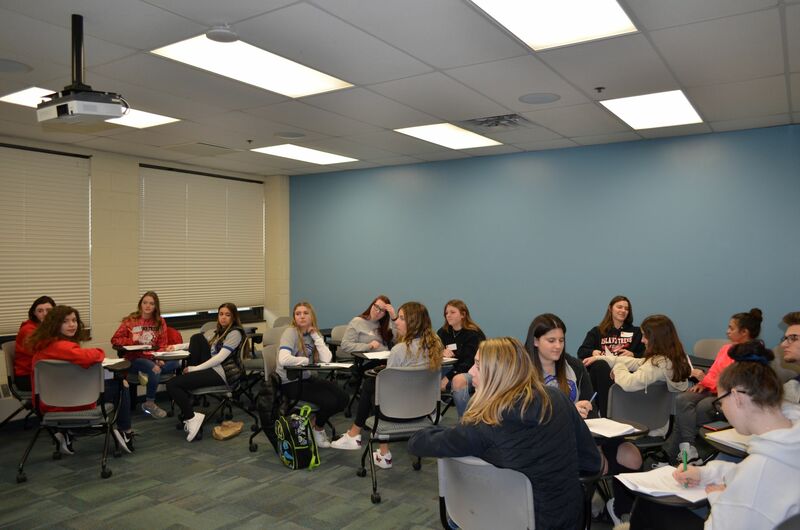 Beginning Friday, October 12 and continuing each Friday (with the exception of Oct. 19) up to and including November 2, Athletes Helping Athletes will host a series of conferences designed to welcome and train the newest members of its Student Athlete Leadership Team. 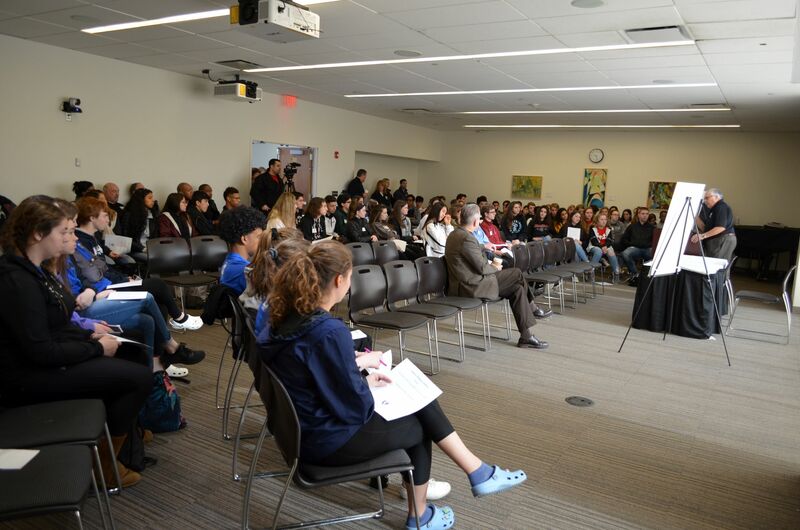 In all, more than 300 students from more than 30 high schools across Long Island and other parts of New York are expected to visit Molloy College in Rockville Centre over the next few weeks, where they will be greeted by and learn from AHA staff, guest speakers and program trainers. 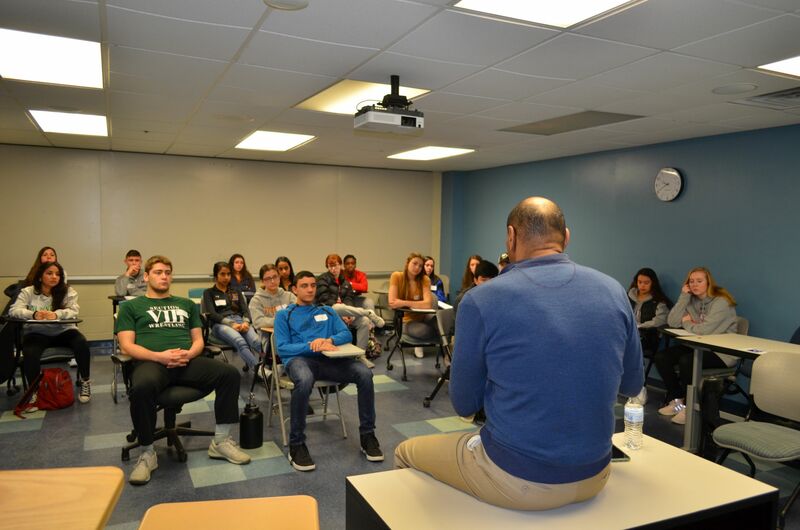 During this first three and a half-hour session, the students will hear from former NY Giants running back, Billy Taylor; tennis players Kyle Copeland and Leslie Allen; and former European professional hockey player, Dan Bedard. 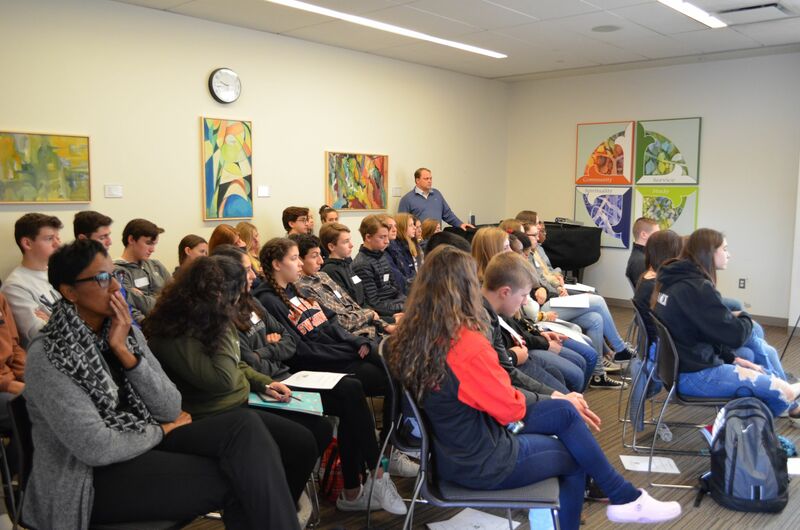 These esteemed speakers will lead workshops designed to assist the student athlete leaders with their organizing and planning skills, as well as helping the students use their own personal stories of success and failure to craft motivational messages. 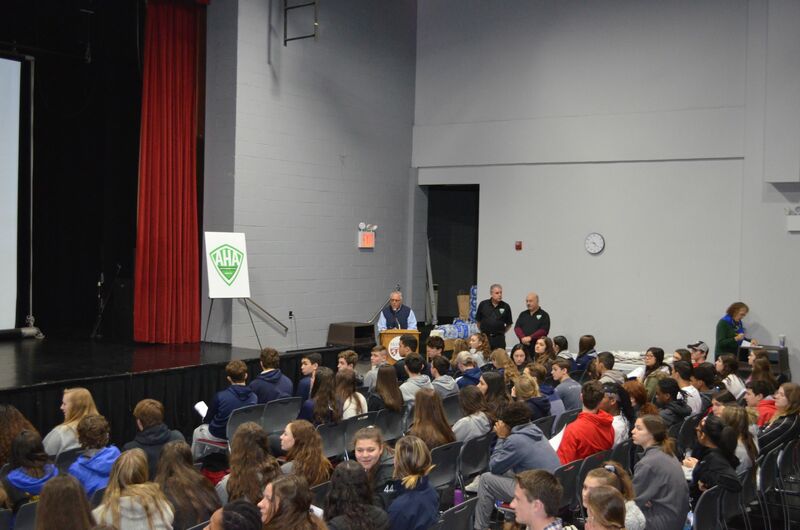 These very personal messages will become the centerpiece of each high school student’s presentation to younger students in grades 5 and 6 during a series of planned visits throughout the school year. 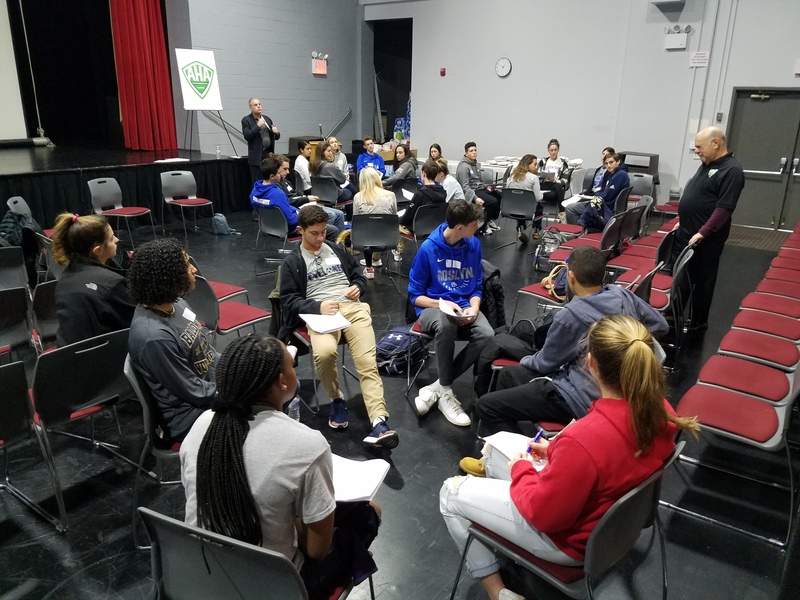 The Athletes Helping Athletes’ Student Athlete Leadership Team enjoys the support of Molloy College and Nassau and Suffolk BOCES in helping train and encourage high school students to become role models and youth leaders in their own communities. 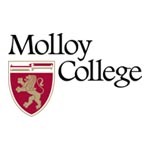 On Friday, September, 22, nearly 50 teachers, administrators and athletic directors gathered at Malloy College in Rockville Centre, NY on Long Island, as the Athletes Helping Athletes’ high school Student-Athlete Leadership program formally kicked off its 33rd year. 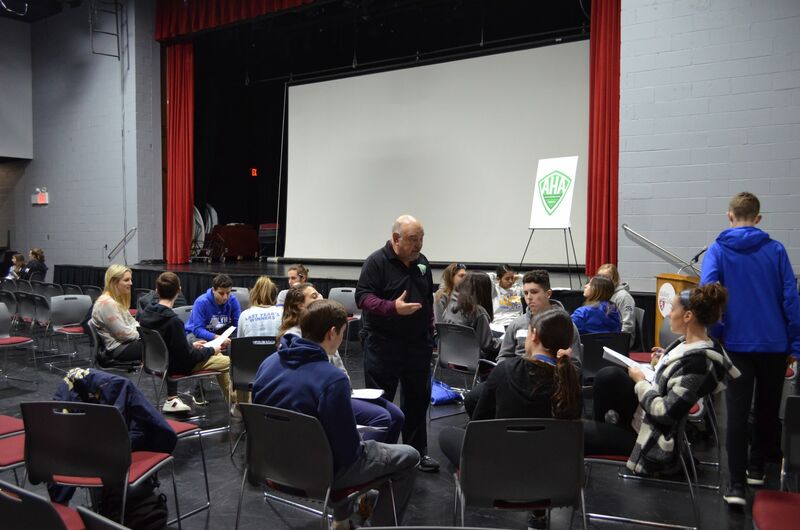 The seminar-like event was hosted by AHA Executive Director, Warren Breining, who was joined by program administrators from across Long Island as well as a newcomer to the program, Port Jervis (Orange County, NY) high school. 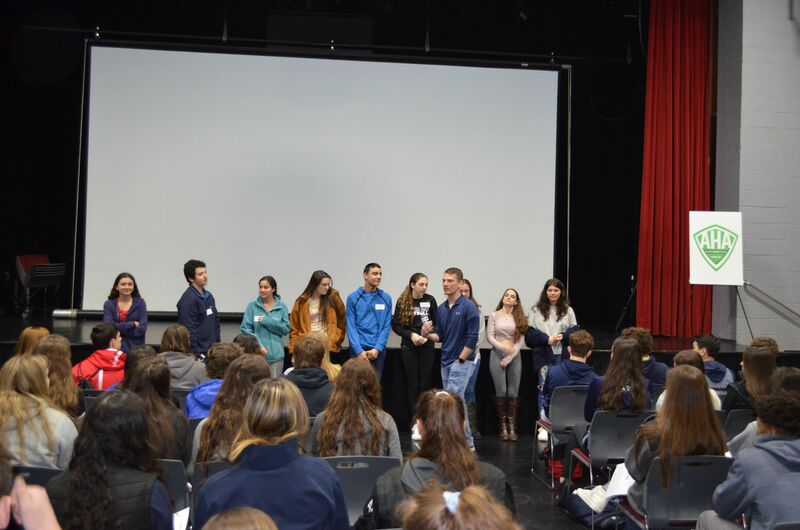 During the two-hour session, each participating school was provided an opportunity to share with the others some of its best-practices as well as its students’ activities. Based upon the open dialogue and the free-flowing exchange of ideas, 2018-19 is shaping up to Based upon the open dialogue and the free-flowing exchange of ideas, 2018-19 is shaping up to be one of the program’s most successful years. 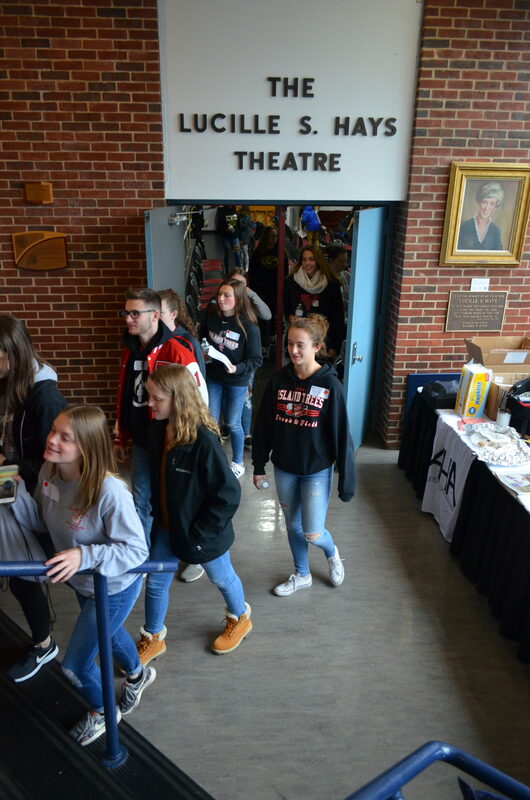 That success is measured, in large part, by the positive impact the high school student leaders are having on younger grades in their school districts. 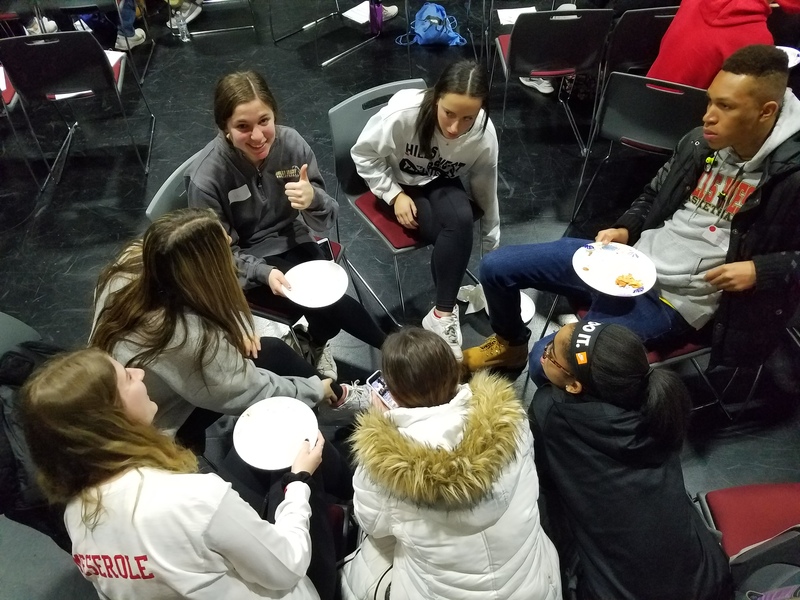 The hundreds of high school students participating in the AHA program are finding and creating unique ways to connect with their younger counterparts. 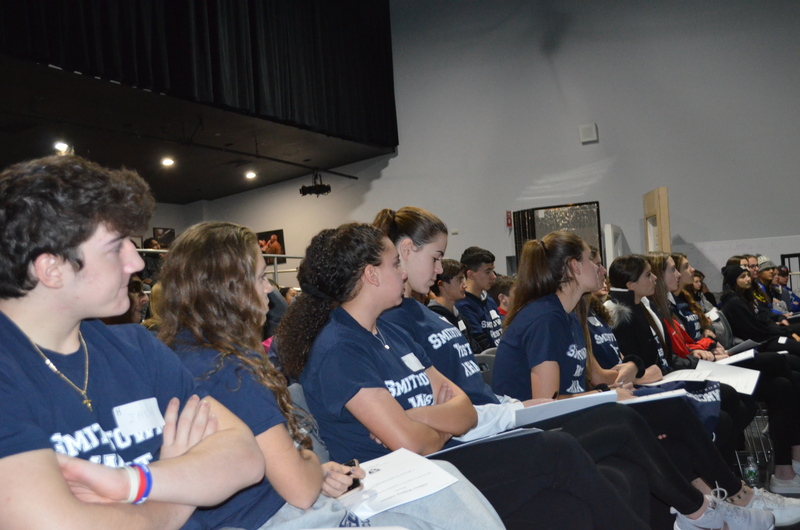 Many of the student leaders are committed to developing programs, activities and messages that focus on promoting inclusion, anti-bullying, in addition to positive decision-making and healthy lifestyle choices. 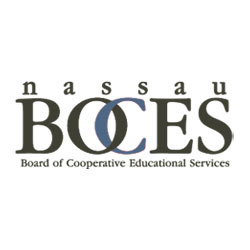 A common theme during the session was the need to begin increasing the messaging to counter the unfortunate uptick in vaping, the use of an electronic cigarette to replace tobacco smoking. 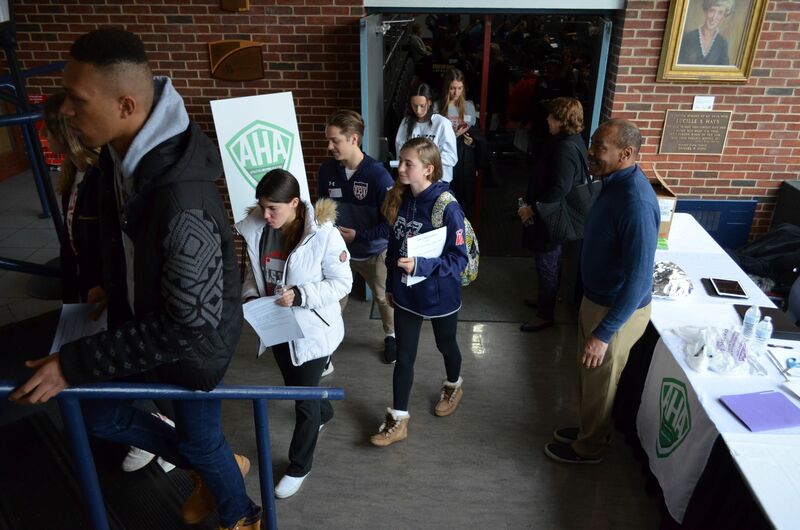 There is plenty of work to be done as the program embarks on another year serving as a positive force in its communities, and AHA wishes all of its 2018-19 participants a successful campaign. 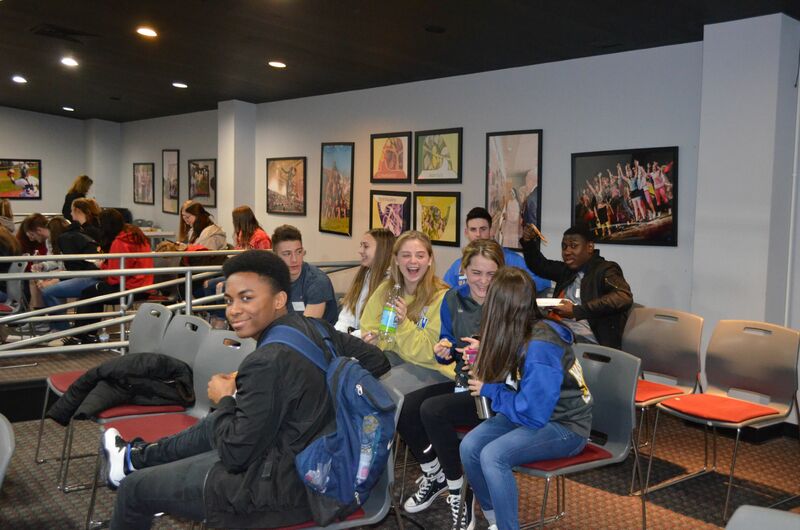 For information on how your school can join the program, please send an e-mail inquiry to Warren Breining, executive director, wdbaha@aol.com. 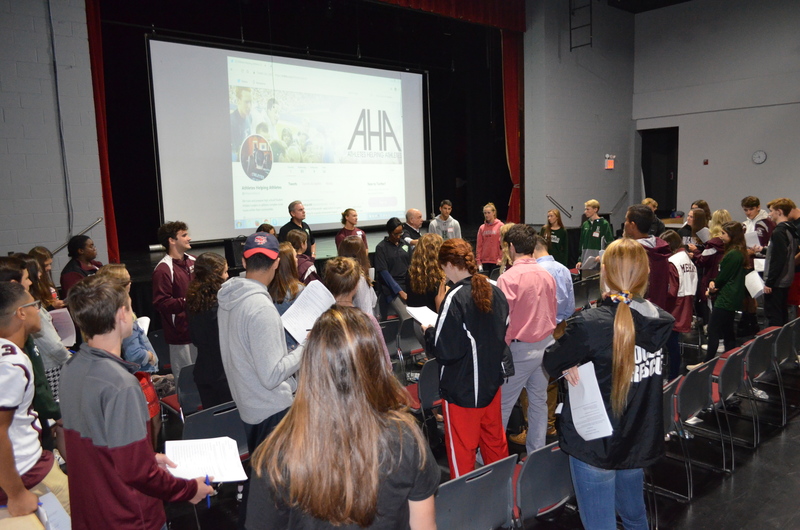 Athletes Helping Athletes (AHA) has been designing and delivering educational programs for students, athletes, coaches, officials and administrators for 30 years to help families, schools and communities address complex social issues. 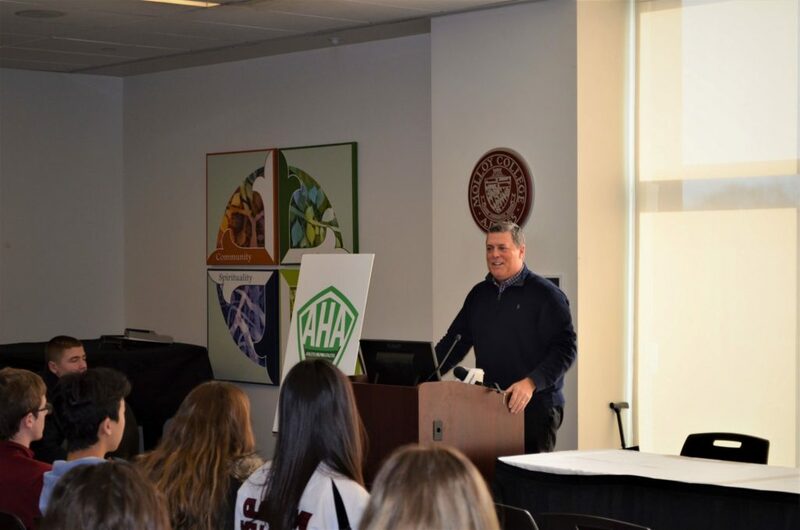 AHA’s innovative programs, including the Student Athlete Leadership Team (SALT) Program and the Sports Parenting Education Program (SPEP), emphasize the positive elements and innumerable life lessons of the sports experience. 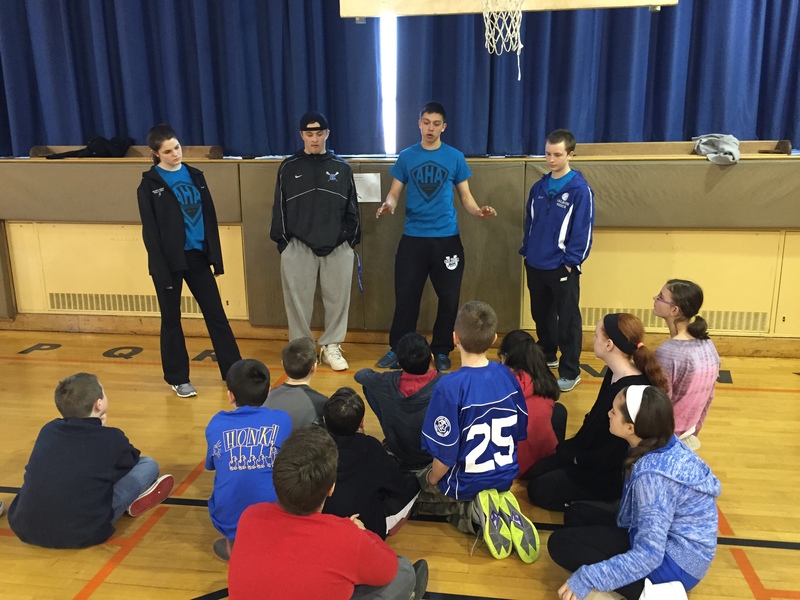 Since 1984, more than 600,000 students, children, coaches and educators in the U.S. and Canada have benefited from AHA programs that promote positive life lessons and a healthy sports environment. 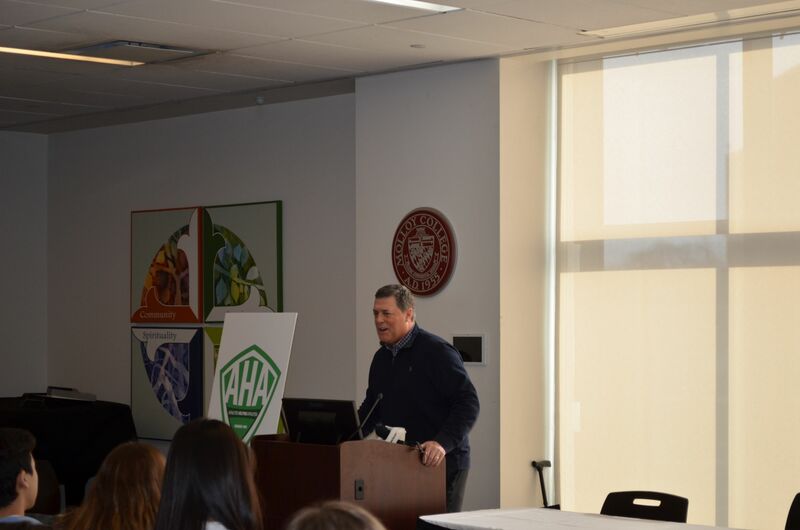 AHA is committed to highlighting the positive influence that sports can have on society. 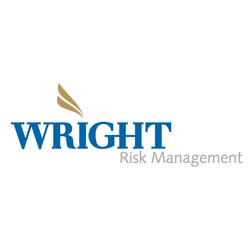 For more information, please e-mail Warren Breining, AHA director, at wdbaha@aol.com. 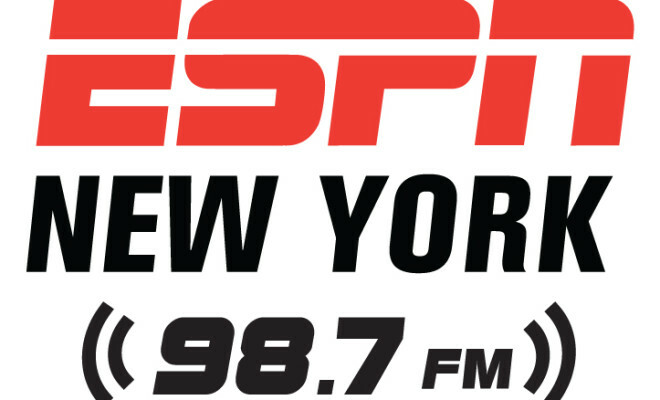 Click here to listen to AHA Director Warren Breining discuss the Student Athlete Leadership program with ESPN Radio’s Larry Hardesty.